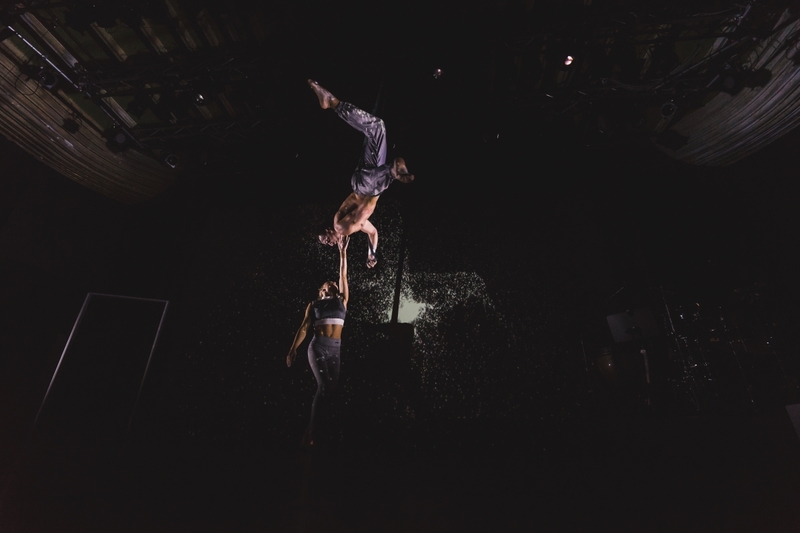 battleROYAL in collaboration with the renowned Chamäleon Theatre, Berlin, brought to stage a new circus production complete with live video interaction, using Notch. 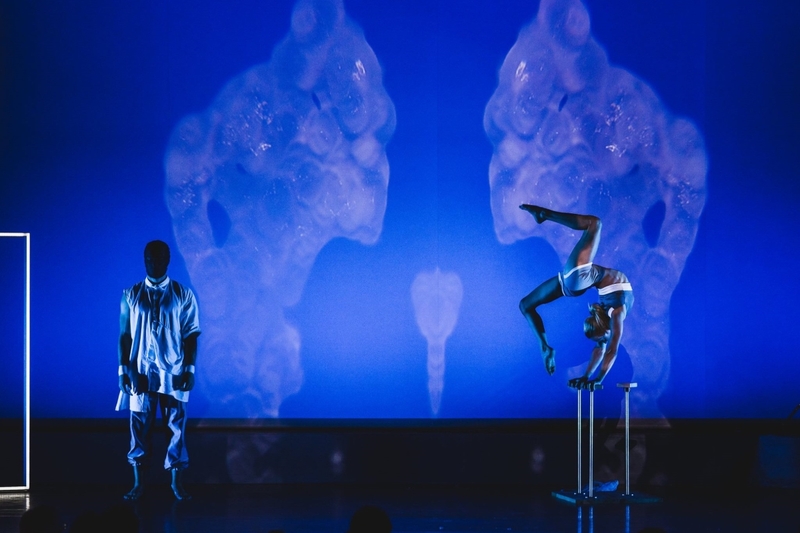 The challenge was to create dynamic video content that would evolve with the acrobats and to create a stable setup that could be easily operated by an off-stage performer, to create a unique spectacle every night. Midi from a Wacom tablet (using a custom patch in Max 7) and Touch OSC was sent to the Green Hippo Hippotizer Karst to control exposed Notch pins. 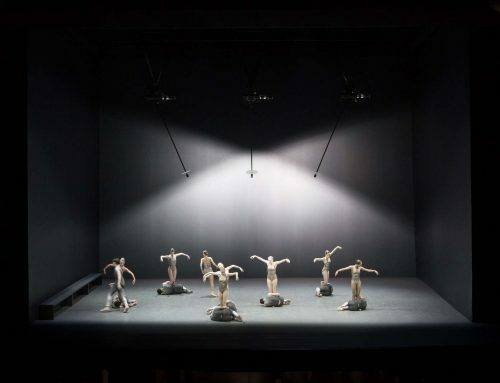 Audio was also used to create further complexity and cohesion with the performances. Using a tablet interface rather than tracking systems allowed the performers to react to the projection, rather than it only reacting to them. It was possible to create unique compositions and paint over the performers. 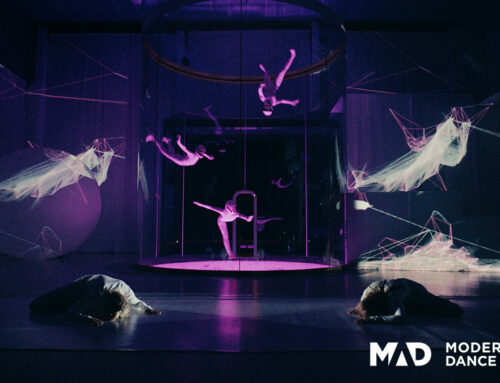 Being able to test new content within seconds of creating it, and then animate live over constantly evolving choreography during rehearsals, was a game changer. And once the look of the scenes was achieved, multiple re-renders for repositioning emitter/effectors was no longer necessary. Giving the team far more time to create.